Some 800 teams with business ideas have applied for funding under the Entrepreneurship Acceleration and Seed Financing Instrument under the JEREMIE initiative. The first application window for submitting projects expires at the end of June, according to a media statement of Bulgaria's Ministry of Economy, Energy and Tourism. The Entrepreneurship Acceleration and Seed Financing Instrument consists of EUR 21 M provided under the JEREMIE initiative within the Competitive Power Operational Program. The Acceleration & Seed Fund is managed by venture capital funds Eleven and LAUNCHub. The results of the first application window surpassed the initial expectations of the fund managers and the team of the European Investment Fund in Sofia, according to the press release. Bulgaria's Ministry of Economy, Energy and Tourism argues that the proof of success is the impressive number of applications and, what is more, the fact that around 1/3 of all applications were filed by foreign entrepreneurs mostly based in the region. According to the media statement, this turn of events contributes to the implementation of one of the strategic goals of the instrument, namely to help Bulgaria establish its name as an attractive destination for innovations, investments and start-ups on the Balkans. After the closure of the first application window, both fund manager teams will conduct a thorough review to select the applicants. The selection process will be held in several stages, the last of which will be a presentation delivered to the investment committees of the two funds, which are to make the investment decisions. 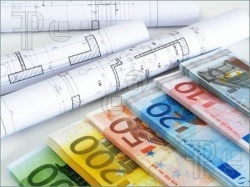 The first investments in start-ups are expected in the fall of 2012. The applicants that do not get selected will have a new chance to present their improved ideas in the fall, when the second application window is to be opened. According to preliminary estimations of the two funds, by end-2105, the deadline for spending the resources under the JEREMIE initiative, the application windows will be opened every 3-4 months, allowing over 300 business ideas to obtain funding.